Now that the Obamacare website is mostly working, we’ve been interviewing people around the country to see whether the coverage they’re finding on the new marketplace is actually affordable. For the most part, the answer has been yes– at least for the premiums once the subsidies are factored in. A big concern though, particularly among those at the lower end of the income scale, are the high deductibles and out-of-pocket costs that come with the cheaper plans. And while the new law limits an individual’s annual out-of-pocket costs to $6,350, for someone making less than $20,000 a year, that’s pretty steep. What most of the people we talked to didn’t know is that in addition to the subsidy to help pay their premiums there’s another subsidy, also income based, that reduces out-of-pocket costs, but– and this is important– only if you buy a silver plan. If you make less than 250% of the federal poverty line (FPL)– that’s $28,725 for a single person– there are two ways that Obamacare can help you with out-of-pocket costs if you purchase a silver level plan. 1. A reduced annual out-of-pocket maximum. First, just a quick reminder: out-of-pocket maximum is the most an insurance company can have you pay in out-of-pocket costs (things like deductibles and coinsurance) in a year. Once you hit that limit, your insurance will pay for 100% of your medical bills. Unfortunately these new limits might still be sort of high for some people. 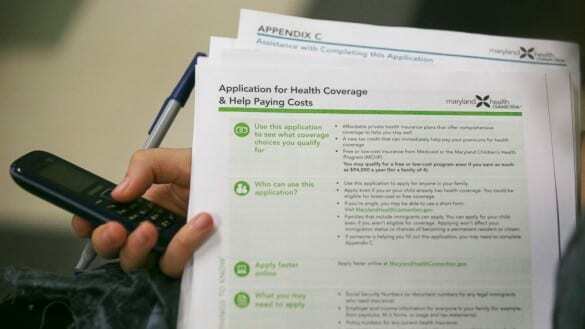 Originally Obamacare lowered out-of-pocket limits for anyone making up to 400% of FPL and there were bigger reductions for those making less money, but the Department of Health and Human Services said it was impossible to discount out-of-pocket costs that much without violating other parts of the law.) But there is another way the law reduces out-of-pocket costs. Under “Silver” it says the plans cover 87% of the total average cost of care, instead of the 70% it would cover without the subsidy. Also, notice that the average silver plan deductible and out-of-pocket maximum is much lower than even the gold plans. If you don’t make much money, the temptation is to pick the cheapest bronze plan. But many of these plans are just a small step above catastrophic coverage– if you’re young and healthy that might be fine, but if you have to go to the doctor or hospital for anything other than preventive care (which is free under the new law), it can end up being pricey. For those who are worried about the cost when they do need medical care, the silver level plan could be a much better deal. This was a helpful article, thanks. An update: actually, when I’m enrolling, Silver plans say “Reduced costs” while Bronze, Gold and Platinum do not. It doesn’t explain what “reduced costs” means, but I put it together after reading your article. And yes, it really does seem like for folks who qualify, Silver ends up being better coverage than Gold or Platinum. No doubt! I can’t believe no-one is talking about this! If I hadn’t read up on this, I wouldn’t know I can get 94% coverage just by selecting a Silver Plan! It’s not just a premium subsidy, it’s lower co-pays and deductibles! @Mark: A lot of silver plans can be paired with an HSA, since they usually have deductible higher than the $1,300 minimum required for an HSA. However, if your income is below 250% of the poverty line, you might not be able to find one, since the cost-sharing reductions would bring the deductibles on silver plans below that $1,300 cutoff. Bronze plan premiums do tend to be cheaper than silver plans, but that’s not always the case. 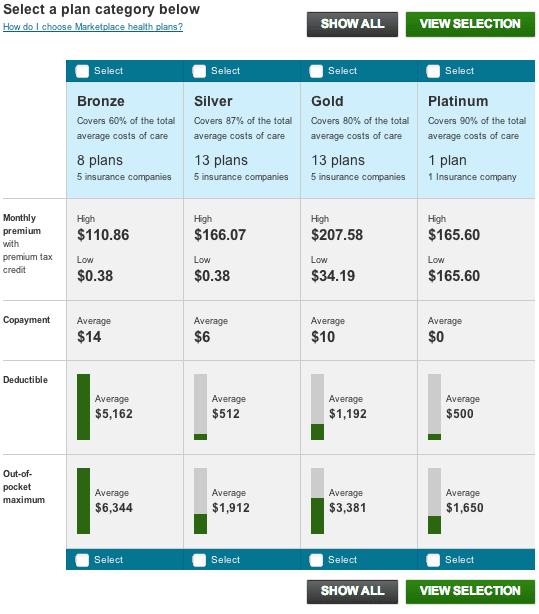 Also the difference in premiums between bronze plans and silver plans is often pretty small– but if you qualify for cost-sharing reductions, the out-of-pocket costs for the bronze plan will be much, much higher. If your income is below 200% of the poverty line, you’re almost always going to be better off with a silver plan.